The HydraFacial is a quick (30 min) treatment that cleanses, extracts, exfoliates and hydrates all in one. A HydraFacial promotes overall skin health with instant results in the appearance of fine lines, wrinkles, skin texture, enlarged pores, and brown spots. 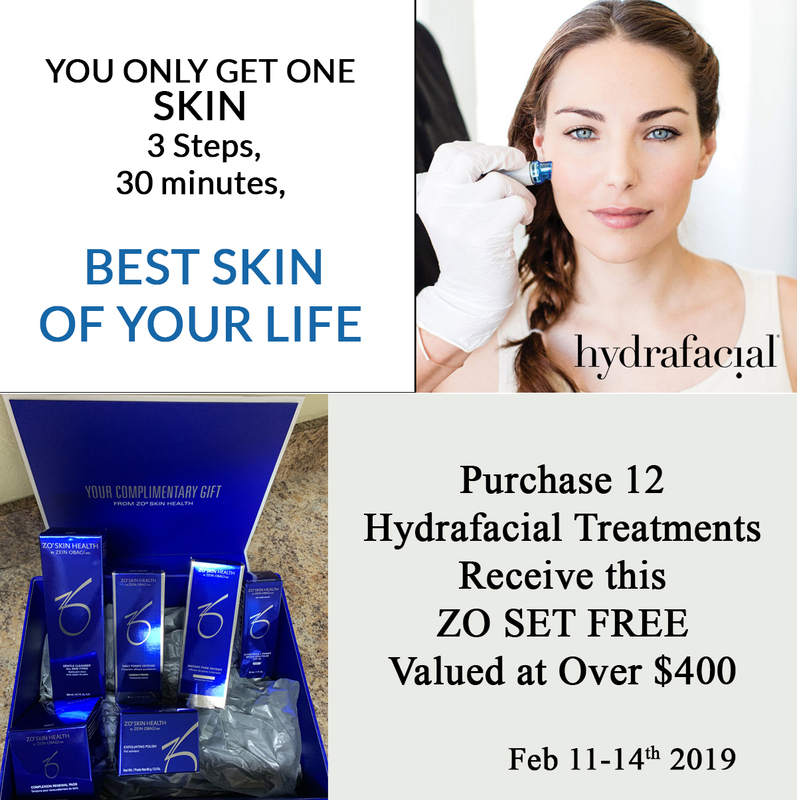 The HydraFacial treatment removes dead skin cells and extracts impurities while simultaneously delivering the skin with cleansing, hydrating and moisturizing serums. The treatment is soothing, refreshing, non-irritating and immediately effective.